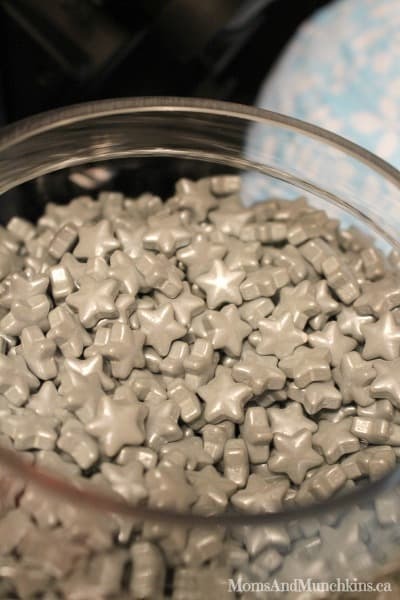 A party theme you’ve probably been seeing a lot of this year is an Under The Stars Party. It’s a great party theme for the warm winter months and kids love it! 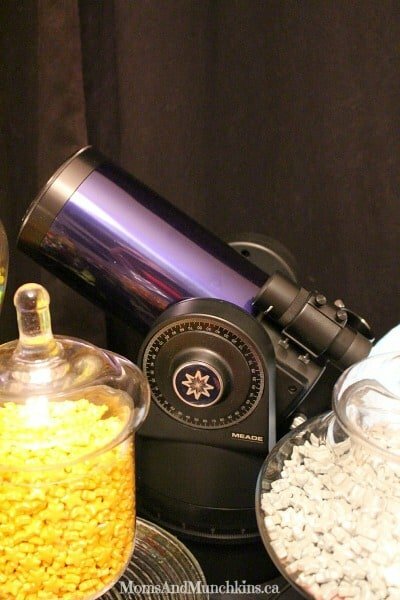 This party is typically held in the evening so that you can bring out your telescope and let the children take turns looking at the stars. This theme is great for a slumber party as well. Since this party usually takes place at night, there’s no need to plan a supper. 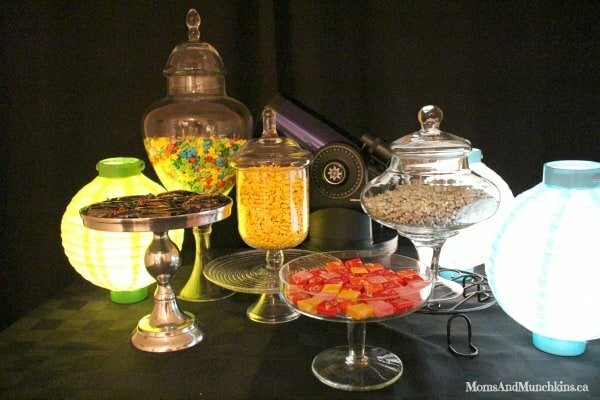 A candy buffet would be perfect for this party…but your guests may stay up late after all this sugar! That’s okay, it’s still school break, right? 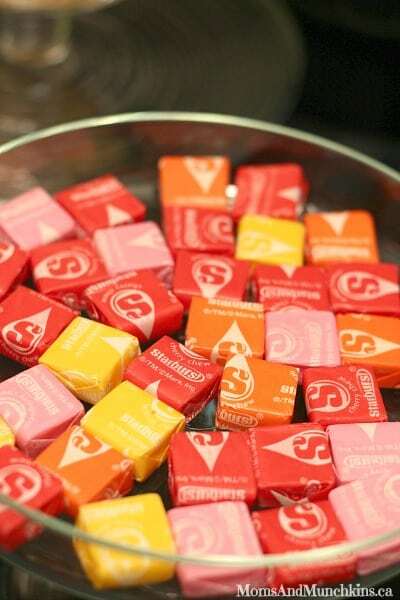 For this party, I found several candy ideas at SweetWorks.net. Have you visited their site? There are so many delicious candy products! One thing that I love about their website is the detailed information on allergens that may have come in contact with the candy. My son has a severe peanut and tree nut allergy so we have to be really careful with the food he comes in contact with. As you can imagine, this makes parties difficult because a lot of candy is sold in bulk at the local stores but he can’t be around that due to cross-contamination. I was pleasantly surprised at the selection of candies on SweetWorks that are peanut & tree nut free. 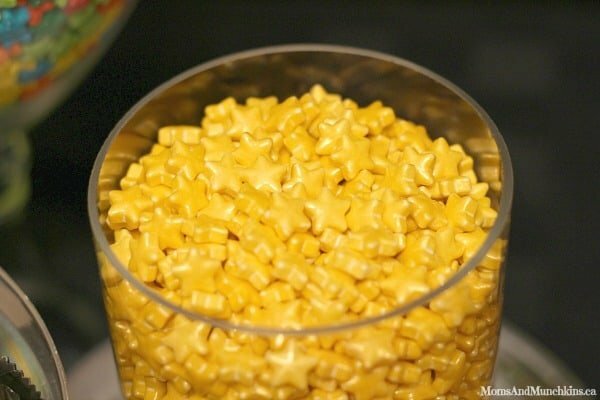 For this party, I chose Shimmer Gold Stars, Shimmer Silver Stars and Neon Stars. 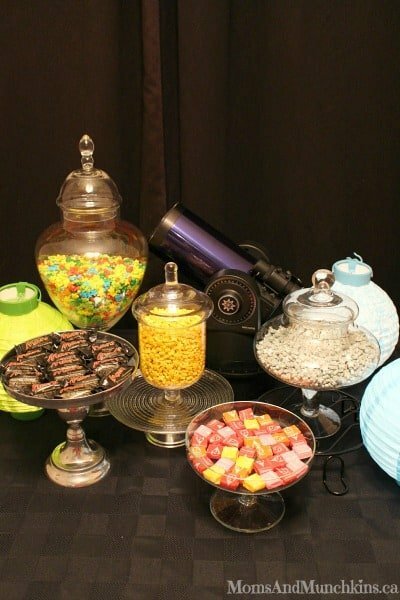 Simply set out some scoops and little paper cups and let your guests fill up their own candy dishes. 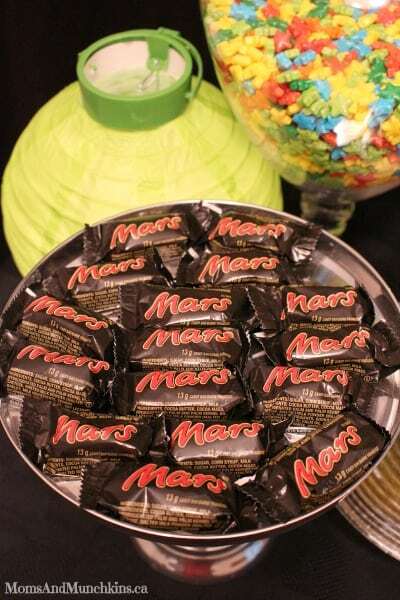 Sticking with the “space” theme, I also picked up some mini Mars chocolate bars and Starburst candy from the grocery store. To set the scene for your party, tall candy vases always look beautiful on a party table. I also used paper lanterns that could help light the party table in the evening. For your star viewing, set out some large blankets on the ground with several pillows to help make the guests comfortable. You may want to make a little road trip out of the city since you can see the stars better when you are away from the city lights. If you have a larger vehicle, you could set up the viewing and candy area like a tailgate party. 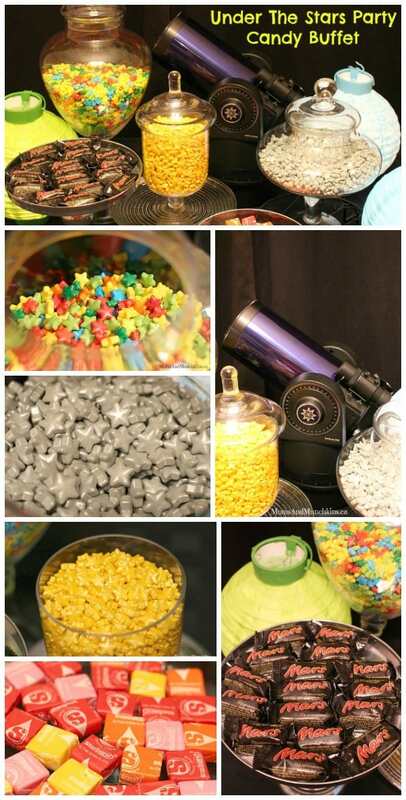 Check out the Star Party by Not Just A Mommy for even more decorating ideas. Visit our Party Themes page for more creative ideas. I’ll be sharing more ideas with SweetWorks candy soon! *Disclosure: I received product in exchange for an honest review. All opinions expressed here are my own. We’re always adding new ideas for parties. Never miss an update by following us on Facebook, Twitter, Pinterest, Google + and Bloglovin’. 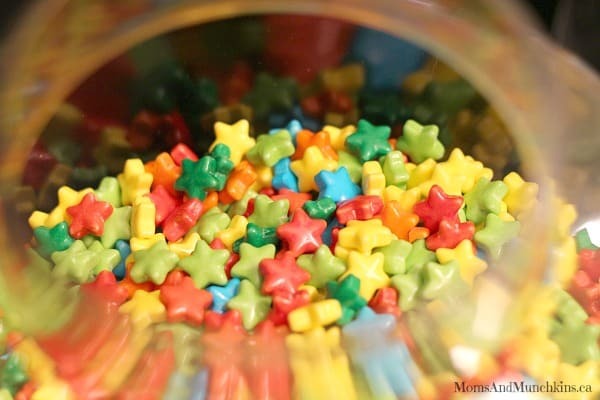 Love those stars! I just received all the same ones for my own event! Thanks, Dawn! Yes, they are so bright and unique! There are so many fun ways to use them too. The neon stars would be great for a retro rollerskating party.